Our mission is to serve delicious comfort food which is made daily in-house by our chefs. We follow sustainable practices and source your food locally whenever possible. Your dining experience in this restaurant will also be friendlier to the environment because we have taken steps to limit chemical, electricity, and water usage. We also meet strict standards for recycling and lowering impact to landfills. EAT WELL. 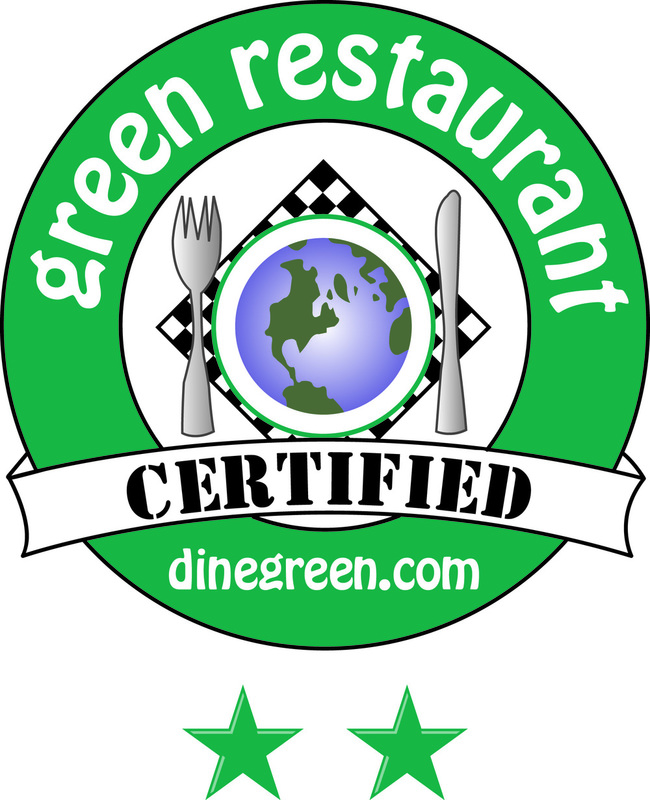 Copper Canyon Grill received 136.35 GreenPointsTM on the Green Restaurant Association’s rigorous certification scale and having implemented 45 environmental steps, Copper Canyon Grill has gone 36.35% above and beyond the minimum requirements necessary for certification. Copper Canyon Grill has met the standards of the GRA under six categories; disposables, energy, food, pollution and chemical reduction, waste, and water. Copper Canyon Grill has implemented a staff training program on its green initiatives. See Copper Canyon Grill detailed green label and all their environmental steps. Copper Canyon Grill has several locations in Maryland and Florida. Each location offers a personal dining experience that is warm, inviting, friendly, and satisfying, that keeps guests coming back. Some of Copper Canyon Grill’s appliances consume more water in one day than an entire household would use in a year. The restaurant industry is five times more energy intensive than other retail, office, and lodging industries.